Derivatives trader Nick Leeson grabbed the headlines in the mid-nineties for all the wrong reasons. The trader, having worked his way to the top at Barings Bank, took over as head of Singapore stock exchange in 1995. By this time, his speculative gambles had resulted in huge losses which he hid in a secret account. The same year also saw the markets plummeting thanks to the earthquake in Japan. Unable to hide the losses anymore, Leeson eventually disappeared from Singapore with losses amounting to $1.4 billion. In the U.K., as per the Annual Fraud Indicator report based on the Centre for Counter Fraud Studies’ research, the annual fraud cost is as much as £193 billion! When it comes to crime, humans, as a whole, tend to mainly focus on the violent kind. It’s almost like we don’t see crime as being anything beyond an act of outright violence. Switch on the news, and you’re more likely to hear about a burglary that went wrong or a gang shooting. But, when it comes to white-collar crime, the majority of society prefers to tune out. But, here’s the thing – white collar crime is boring and also, complicated. The average person simply has no clue what the crime even is. So, it’s understandable why its ignored so much by the masses. However, this doesn’t change the fact that white collar crime is probably the strangest of all crimes. Its offender list isn’t occupied by the “scum of society.” Rather, it’s occupied by people, who in most other circumstances, would be looked up to as ideal role models for society. This is exactly why white-collar crime is fascinating. Why would someone with so much going for them choose to risk it all by breaking the law? Then come in the bigger questions. You see, most of these crimes aren’t always committed by individuals. They are often the result of a nexus that operates within larger organisations. So, figuring out who the perpetrator is can turn out be very challenging. Who can we blame when an organisation is made up of thousands of employees? If that isn’t enough, you have to come to terms with the fact that there are no clear victims. How do we determine who suffers when a few numbers are “tampered with” on a spreadsheet? Even if we did identify the perpetrators and the victims, how should we deal with the issue? What kind of punishments can be handed out to the perpetrators of these complex crimes? Well, these are some of the questions we are going to try and answer in this blog. In the book titled “Capital Offences,” Samuel W, Buell, a law professor from Duke University and the Enron case’s lead prosecutor, states that white collar crimes are all about context, and the final judgement rests on the defendant’s awareness of the crime, that is, did she/he knew that her/his actions were illegal? So, in a way, the prosecutor is also required to play mind reader. Buell also notes that the main defence in such cases has very little to do with the act. Rather, it has everything to do with the fraudster’s own awareness of the crime. Did he/she know the actions were against the law? For all you know, such actions could very well be standard practices within an industry. Determining intention becomes murkier when executives have made their decisions based on the advice of experts. It may seem unfair for someone to go to prison when their actions may very well have been encouraged by a lawyer or an accountant. Greed and selfishness aren’t crimes; actual crimes are those that cross the lines set by the law. Prosecution, with regard to white collar crimes, is complicated further when the so-called criminal action spans an entire enterprise. It becomes extremely difficult to identify where exactly things went wrong. Organisations are made up of many individuals and blaming an organisation is the same as blaming each and every employee. People at the top of the organisational hierarchy are rarely aware of day-to-day operations and punishing them for the crimes committed by those below them can lead to all kinds of consequences. Or, for that matter, even penalising the organisation as a whole by levying massive fines and sanctions can lead to a negative ripple effect of the economic kind. The cold, hard truth, according to Buell, is that there are no simple answers to these problems. This is exactly why the government goes after cases that it is sure to win. However, the good news is that federal crime rates have dropped in the past decade or so while the average sentence for white collar crimes has doubled. Now, the problem with Buell’s observation is that it’s mainly limited to organisational corruption and the problems in fighting it. The bigger question here is about why some individuals engage in white collar crimes in the first place. Soltes directs our attention to the perpetrators of such crimes. His work is based heavily on actual interviews that he conducted with white collar criminals currently serving their sentences. 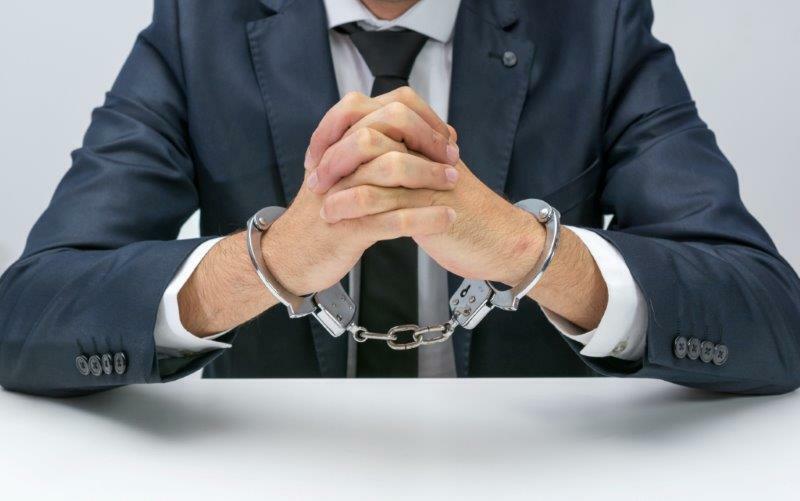 Traditionally, white collar crime has been blamed on the lack of self-control, deviant behaviour, the “bad apple” concept, pathological characteristics, brain chemistry, psychopathy and even peer pressure. A lot of these theories have been discredited while others have revealed very little. So, Soltes decided that he would hear it directly from the horse’s mouth. In his interviews, one common response that he always received was that the perpetrator never stopped to think of the consequences. These executives-turned-criminals didn’t even consider the possibility that what they were engaging in, at the time, could be a crime. In other words, there was no self-reflection on their part. Soltes goes further into the rabbit hole and explores the very psychology behind decision making. What he suggests is something that fits in perfectly with Buell’s ideas. In modern corporations and organisations, the leader has very little exposure to the customer, shareholder, or even the general public. This metaphorical distance prevents the decision-makers from seeing what their decisions can do. They see their actions as being unremarkable and even necessary, thereby, unwittingly failing to acknowledge the possible disasters that could occur as a result. In other words, there are no moral and ethical filters being used. So, how do we solve the problem? Well, there a range of solutions offered by both, Soltes and Buell. Soltes suggests preventive measures such as appointing people who have the authority to question top-level executives. When executives have their decisions questioned by a larger group of people, the chances of them acting selfishly or shortsightedly are likely to be much lower. Buell, on the other hand, suggests more transparency, stricter regulations and even incentivisation for “good behaviour,” However, he says, the most important thing to do is to redefine corruption. We cannot have multiple definitions. Campaign contributions, which are likely to influence policies, operate on greed and selfishness just like any other white-collar crime. The line must be clear. There can be no change as long as the richest and the most powerful continue to control what is legal and what isn’t. This article basically exonerates leaders for their willfull or negligent ignorance of their business…. The last paragraph is the most powerful statement of what needs to be done to effect change. Organizations respond to pressure from stakeholders, if we are to survive, we need sustainable management practises (in the broadest sense). This would mean that there would be no place for corporate or individual greed, and the sociopaths that currently run the most powerful institutions in society would be exposed and forcibly (if necessary) removed from their positions of power. No more, enough is enough, these criminals are hijacking the planet, increasing injustice in the distribution of wealth and have delusional beliefs that money will protect them from what affects all of us in the end. There is no quality of life for the majority in an unjust society, and there is no peace when people are oppressed, and yes, that is what is happening right now, in the richest countries and so called free societies. Expose the corruption, punish the guilty and we might end with a fairer society and a future for the planet. However, my fear is that the web of unfair and injustice is so intense that the people providing punishement are themselves in most cases involved in the white-collar crimes themselves. Someone has just start the process and reinstate confidence in handful of people doing the right thing when no one is watching. While this article may explain what the perpetrators reasons were to the author – they have had LOTS of time to reflect on their own bad behavior – and time to blame others when interviewed or get use to their attorney’s defense of blind stupidity. As a CCEP and long time investigator, the truth lies in that they did not want to give the “bad news” to their boss(es). So they “fibbed a little” (the first time!) – to make the numbers look better, or the performance to look on track. The next time, the fib was “misleading facts”, the third and every time after that – the perpetrator comes up with yet another excuse for their behavior. But they knew, the very first time they reported erroneous numbers, they knew they had either: 1. Broken company policy; or 2. Violated Federal Law. If you are an executive in a company, you had BETTER be asking the hard questions of each other, and those that are in your chain of command. “Not knowing” is not an excuse. When a President is paid 3-7 million a year, s/he had better make it a daily directive to know and have a direct hand in the hiring of highly ethical employees – not yes men or women too afraid to state the facts. And ANY indiscretion of someone who is in a decision making capacity in the company, that may cause a FAR MD reporting or worse yet cause disbarment, needs to be terminated – immediately. The article beautifully explains the psychological aspects of a white-collar crime. I am very intrigued by the thought process of the writer and being in this field I can relate, to how a corporate crime is carried out and the roots and depth it goes up to. However, as a compliance professional, I seriously believe that there is a lot of empowerment of Compliance Office besides the regulatory empowerment that needs to be done, in order to normalize the situation. Are there any tools which can help profile such people? Do organisation use such tools? From a global perspective, economic crime is fast becoming a chief concern of business organizations worldwide. 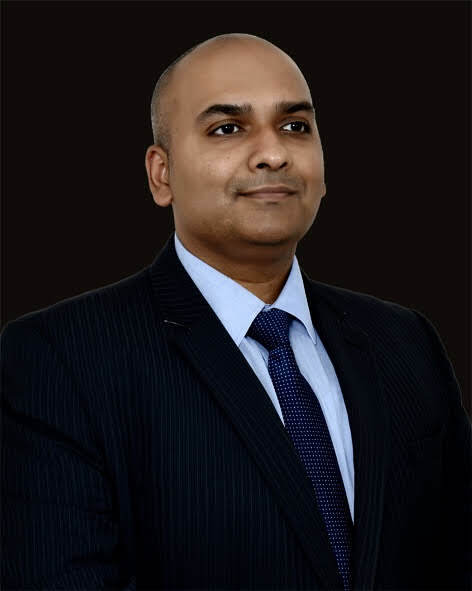 The global economic downturn has adversely affected the world’s business climate and as a result, the risk of fraud and white-collar crime at the organizational level has significantly increased. Unfortunately, there is no “global” cookie-cutter method for investigating and detecting fraud that emanates from outside the organization. In the Middle East and Africa information technology is largely limited in many regions and cultural differences can impact the flow of information that is so vital to the due diligence investigative process. Couple this with the varying degrees of privacy laws and regulations in this region (which can vary from country to country and from jurisdiction to jurisdiction), and the language barriers that can wreak havoc on accurate investigating, and a business organization can find itself running in circles trying to implement safeguard measures.